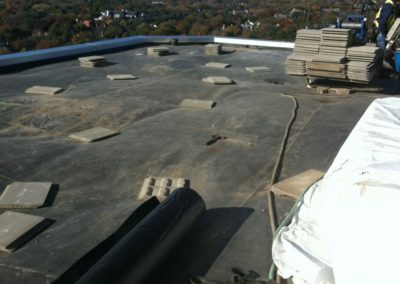 Tear-off loose laid paver ballasted 45 mil EPDM roof system. Loose lay 60 mil EPDM. Install Westile pavers with protective sheet. The Berkshire project required strategic planning for access, installation and most of all, safety. Two roof areas were to be removed. One on the 6th floor and one on the 12th floor. 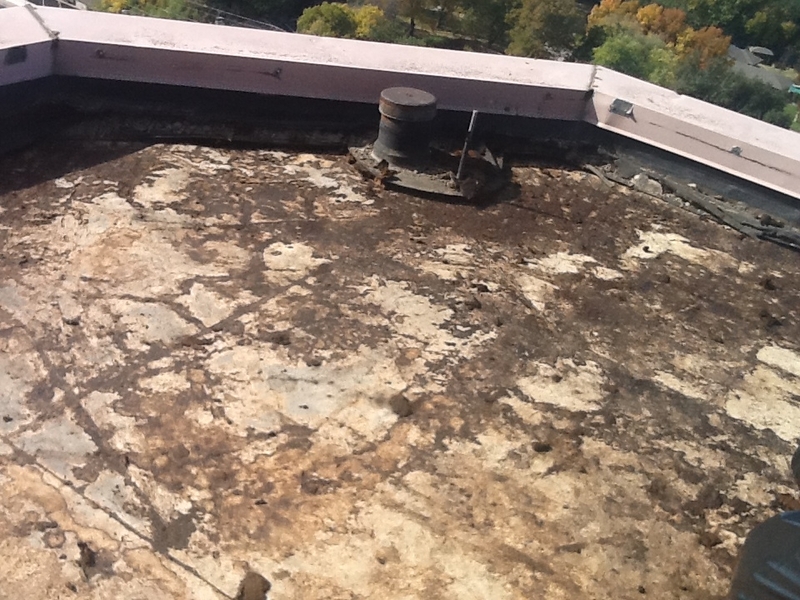 Both roofs had a paver ballasted EPDM and the client wanted the roof and pavers removed and replaced. This meant approximately 1500 pavers measuring 2 foot by 2 foot and weighing 80 pounds had to be taken down from the 6th and 12th floors, along with the EPDM and wet insulation. This project was further complicated by limited access. The building sat at the corner of two busy streets. A small parking lot over a parking garage and beautiful landscaping made crane use almost impossible. 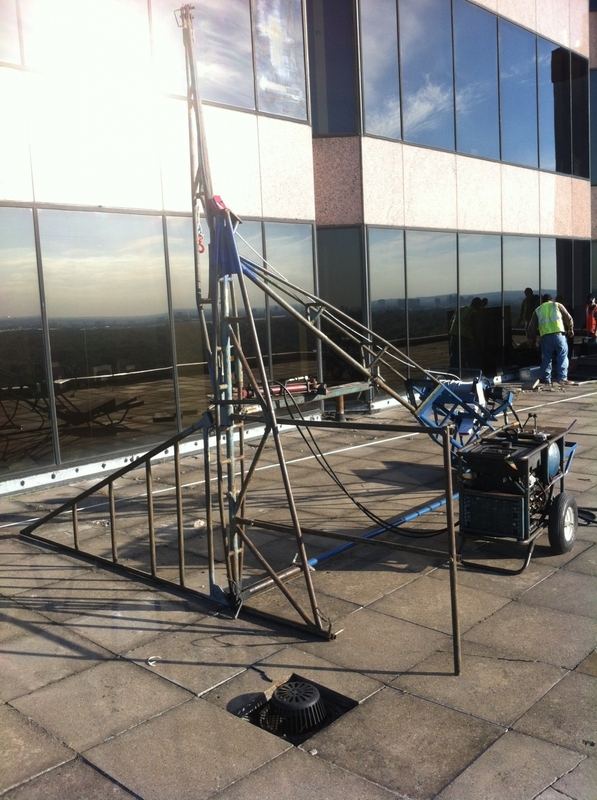 After viewing the site, Zenith decided this project was perfect for our Reihman & Georger Swing Hoist. 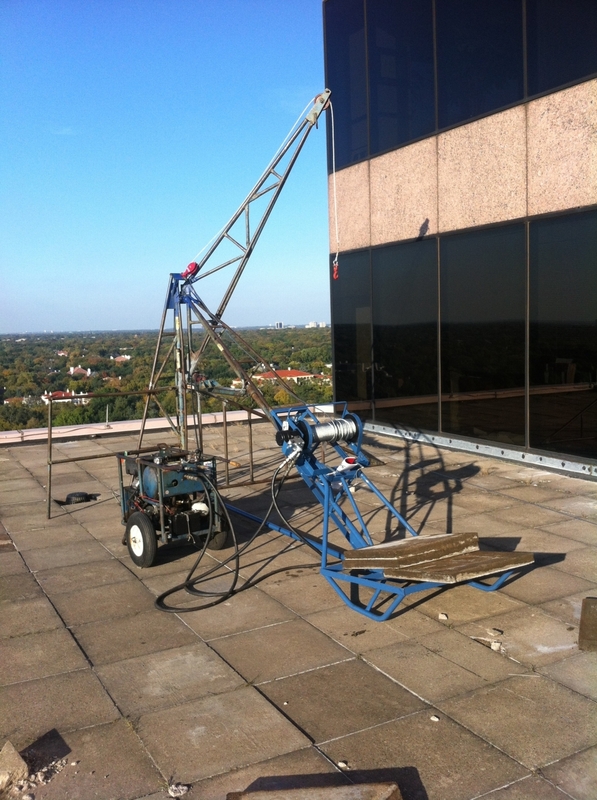 This hoist is taken to the roof, set up and a cable is dropped to the ground. All items are removed and loaded with the hoist. Using the hoist allowed us full-time access and avoided crane scheduling and street closures. Safety was another major concern. The two roofs were guarded by low parapet walls of less than 12-inch height. This meant everyone on the roof had to be secured with a harness and lanyard. 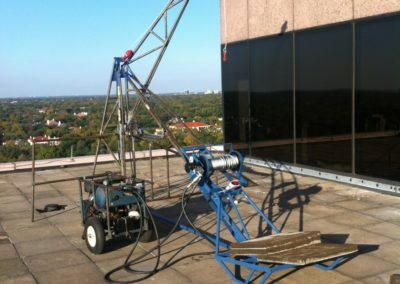 The roofs had a tieback system for the window washers which allowed the men to be secured with a cable and rope method. Once the men were trained and secured, a monitor was on the roof to ensure the ropes didn’t get tangled and the men were always connected. Once the project was setup, paver removal began. 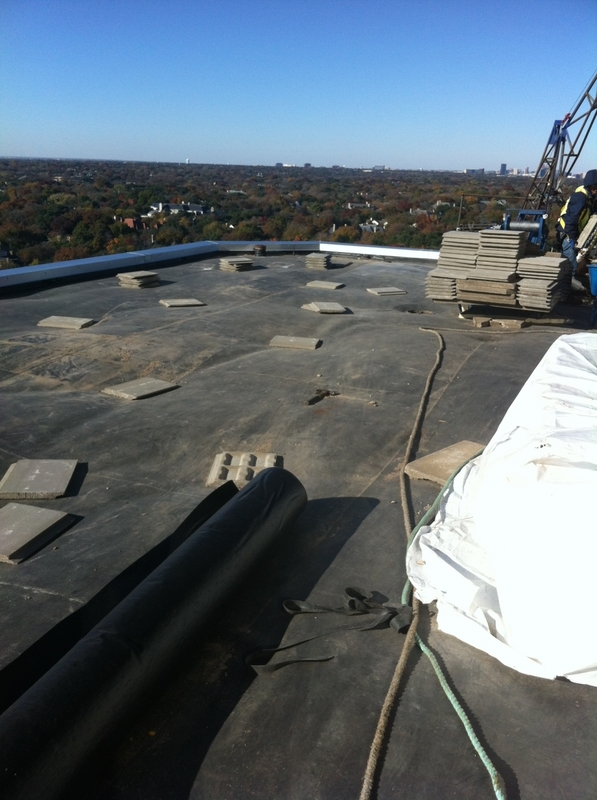 With a paver ballasted roof, the membrane is loose laid and the pavers hold the roof down. While we removed most pavers, some remained until the roof removal began. The roof removal began with men taking loads down to the ground with the hoist while others began laying insulation. Then the 60mil Firestone EPDM was loose laid over the insulation. Once the new EPDM was laid, the protective sheet was applied and new Westile paver had to be hoisted up to the roof and set in a staggered pattern. 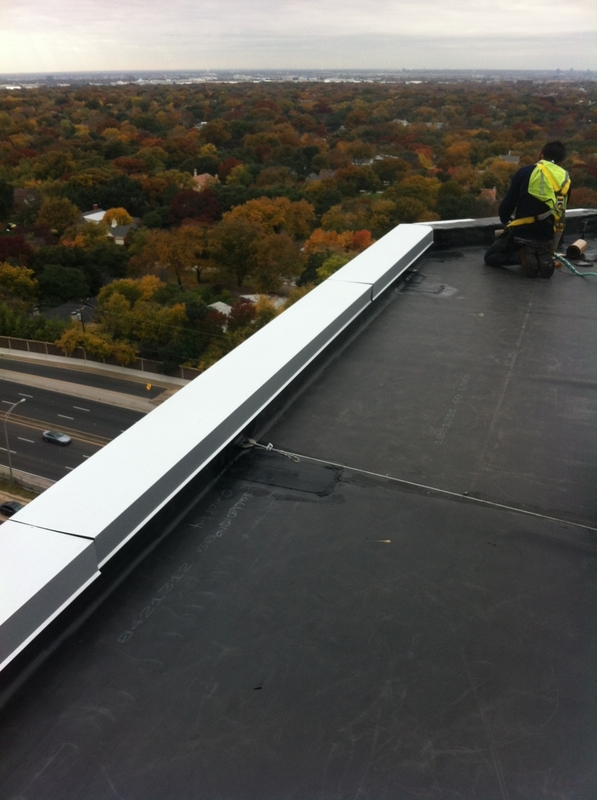 New metal coping was installed at the parapet walls and counterflashing at the window walls. All equipment was removed and warranties were issued. Strategic planning for both access and safety helped us complete this unique project and create another satisfied customer. While being a small project by commercial standards at 6,000 square feet, The Berkshire featured a variety of setup complications that made the project worthy of unique mention. The building is located at the junction of two major streets. The Dallas North Tollway service road on one side at the Northwest Highway exit. Then Berkshire Street is a major cut across for people trying to avoid sitting in the line on the service road. On the backside, the building has a small parking lot located over a parking garage. 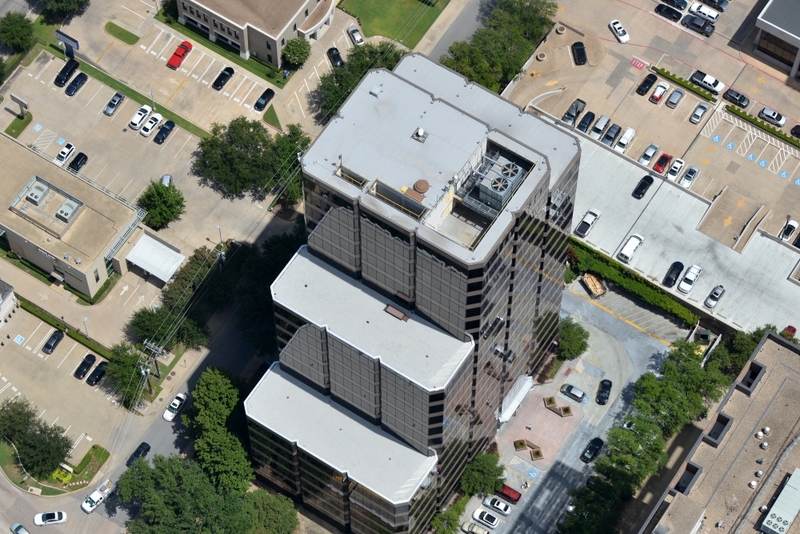 Since the project involved roofing a 6th floor and a 12th floor roof, crane access was important and could not be feasibly reached from any side. The building also has beautiful landscaping to protect. Zenith Roofing used a Reimann Georger Swing Lift setup on the roof for loading and removing material. The Swing Lift has a hoist and cable which is raised and lowered to the ground. Since the building is all glass, employees who were already trained in its use were retrained in the setup and use and monitored by management. Prior to setup, the hoist went through a full inspection which Zenith requires before each new project along with daily inspections. The use of the Swing Lift hoist was critical to the success of the project due to limited access. The two roofs were each 30’ wide with only a 1’ tall parapet wall for protection. To ensure the safety of the installers, Zenith had a pre-job safety meeting with the crew, and then installed a safety cable system and each worker wore a safety harness. 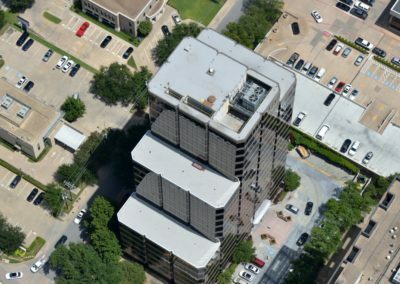 Then a member of upper management with a 30-hour OSHA Certification stayed on the roof to competently monitor that harnesses were used correctly and safety procedures were followed. Each new person entering the site was given the same training and procedures. The roof involved removing an EPDM with 2ft x 2ft x 2in concrete pavers weighing 83 pounds each. The pavers had to be lowered to the ground with the hoist. The hoist has a capacity of 2,000 lbs, but Zenith thought it would be safer to lower less than 600 lbs at a time. The removed pavers were disposed of at a concrete recycling location nearby in Dallas. The EPDM was well beyond its useful life and some parts looked like a window screen when held up to the sun. This also resulted in wet insulation being removed in bags. All debris was removed from the roof with the Swing Lift hoist. The new roof was also going to be an EPDM roof with a paver ballast. This system is normally all looselaid, then pavers installed over the top as weight to hold the system in place. 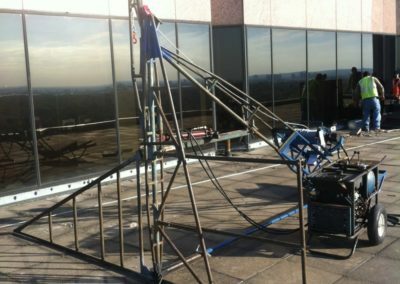 Due to the higher winds on the 12th floor, Zenith used foam adhesive to install the insulation allowing the adhesive to set. Then the new 60 mil Firestone EPDM was installed and temporary pavers applied. 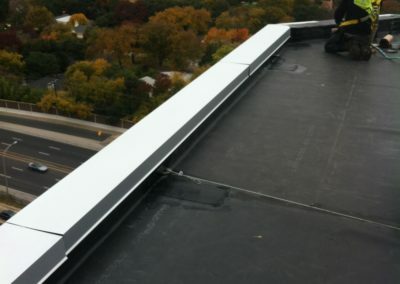 The membrane was adhered to all parapet walls. A protective mat was installed and the new Westile Pavers were installed over the new roof. 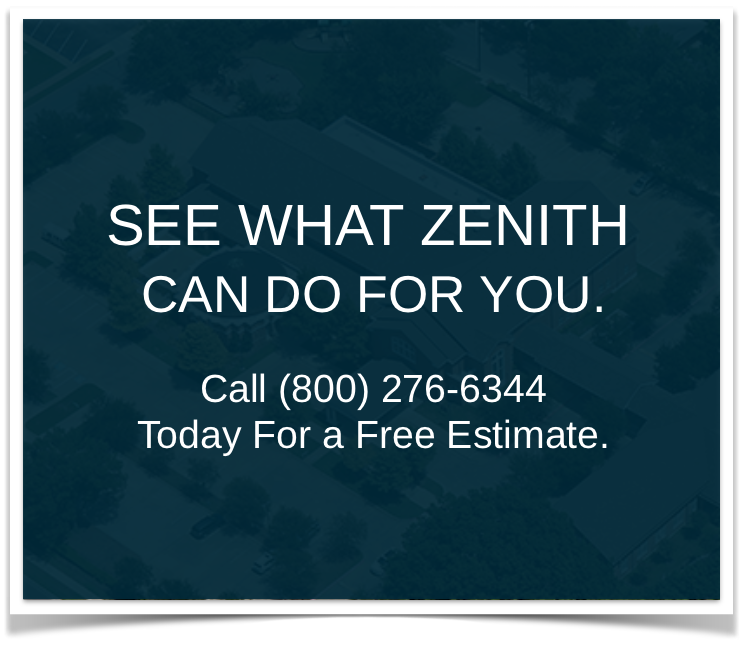 Zenith installed hurricane clips around the perimeter to prevent the Westile Pavers from being blown off the roof. 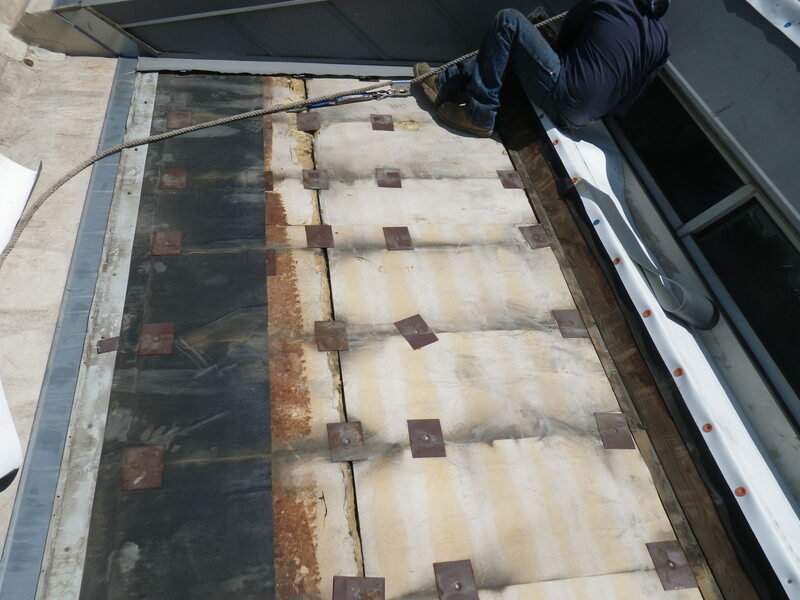 The roof was finished with new metal coping and counterflashing at the windows.